Jackson and Lauren hold their cinnamon ornaments just before baking. Christmas Countdown Day 22 and 23 focused on the wisemen and gifts. Wisemen traveled a great distance, following only a star, and the hope that they would be able to worship the King of Kings. Faith carried them across the rugged terrain, and their determination held steady. They brought with them three gifts: gold, frankincense and myrrh. Each gift was a treasure, and useful to the Lord they were coming to meet. These gifts showcased Jesus as king, priest and ultimate sacrifice to save the world. We made wisemen ornaments to help us remember their faith in the star to guide them to Christ. Then, we created very special ornaments to remind us of the sweet smells of the spices given to Jesus by the wisemen. We mixed one cup of cinnamon with one cup applesauce, rolled it out, and used cookie cutters to make stars, angels, hearts, camels and other shapes. (Bake at 200 degrees for about two hours.) We breathed in deeply to smell the sweet fragrance of the ornaments. The aroma invaded the entire house as they baked! That’s how God’s grace works, too. It transforms and overtakes every part of who we are. 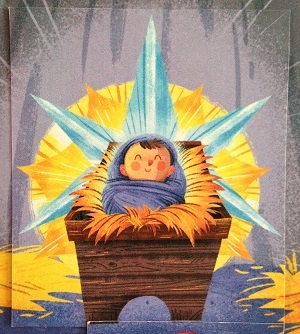 More than anything, God wants us to offer ourselves to Him as our gift this Christmas. We are worth more to Jesus than any treasure. And, God’s sweet grace is worth giving everything up for.